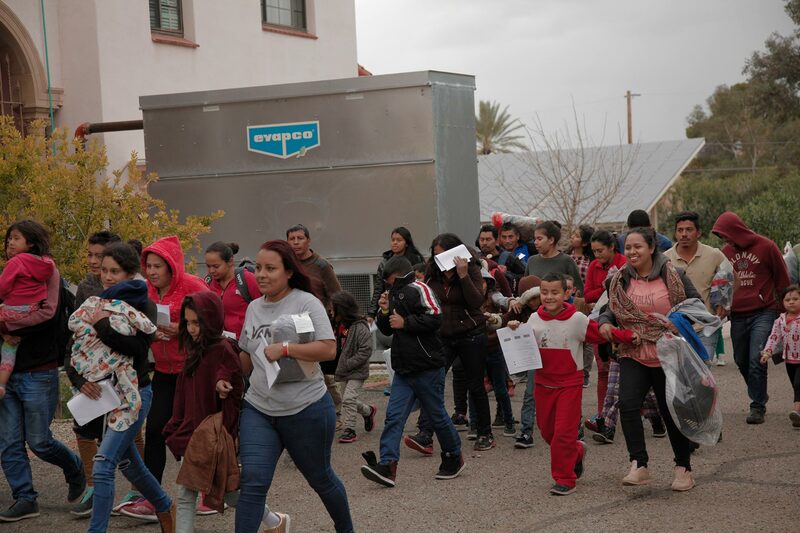 / Modified feb 25, 2019 10:36 a.m.
Tucson's Benedictine Monastery has re-opened with a new temporary mission: to house hundreds of asylum-seeking families, mostly from Central America. The 90-year-old Benedictine Monastery in Tucson was sold last year to developer Ross Rulney. Since then it has been closed in preparation for construction to and around the building that is scheduled to begin sometime this summer. Teresa Cavendish, the director of operations for Catholic Community Services, found out Rulney was open to temporarily using the monastery to house migrant families going through the asylum process. "He said, 'Well — do you think you could work here?' And I said, 'Yes.' It was just so exciting." That was three weeks ago. 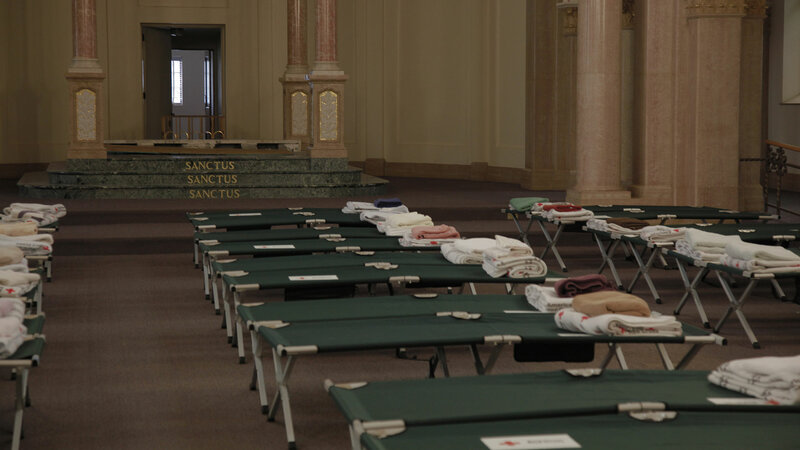 So far, almost 400 individuals have been processed at the monastery. Most families are being bused in to Tucson by Border Patrol from El Paso. Immigration officials say they have run out of room at Texas facilities — and the Tucson monastery was opened just in time. Cavendish says that these are individuals and families with children who have followed the rules and asked for asylum at the U.S. Border. They have all been screened by immigration and are ready to make the connection with a sponsoring U.S. family. 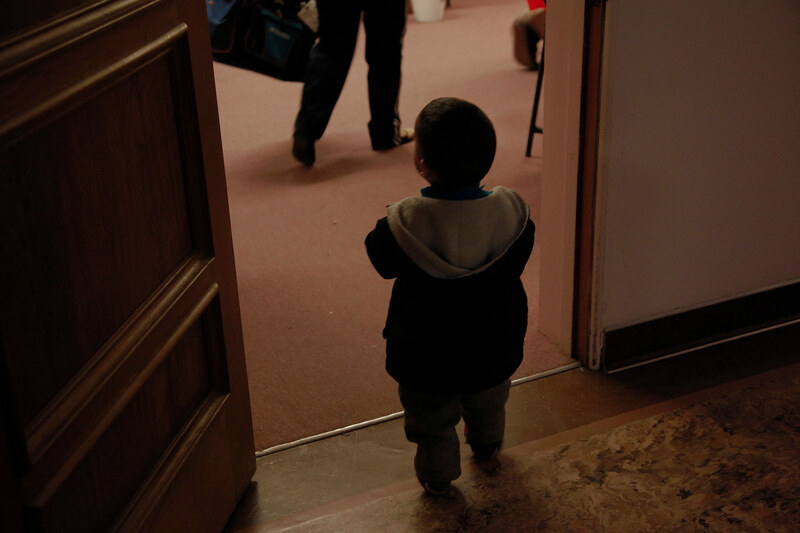 A three year old child from Guatemala waits at the doorway into a cafeteria at the Benedictine Monastery, that has been turned into an emergency shelter for asylum seeking families. He had not had a good meal in three days. He will today. And that’s were local shelters like the monastery come in. Volunteers coordinate their final step to get to their sponsoring families, located all over the country.